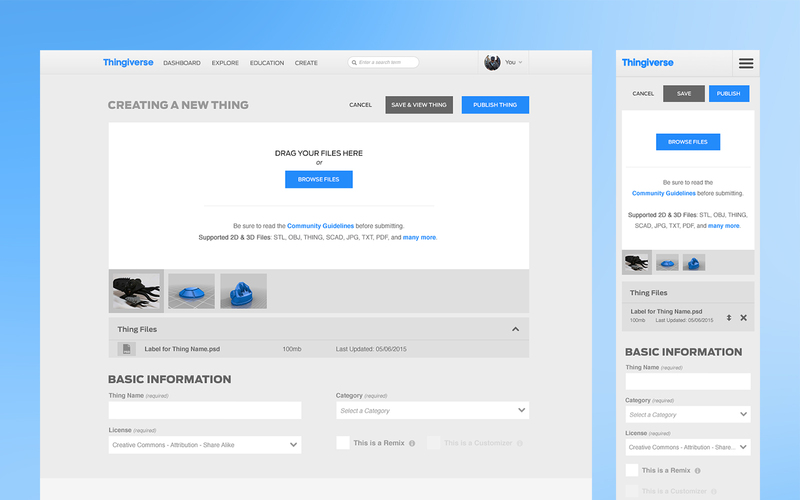 Updating the Thing (design) upload and edit has been one our radar since I started at MakerBot over two years ago but it was just never a priority with new and other updates taking precedence. So starting this summer, I worked with a developer to start laying the groundwork for an updated design as part of our 20% time project. 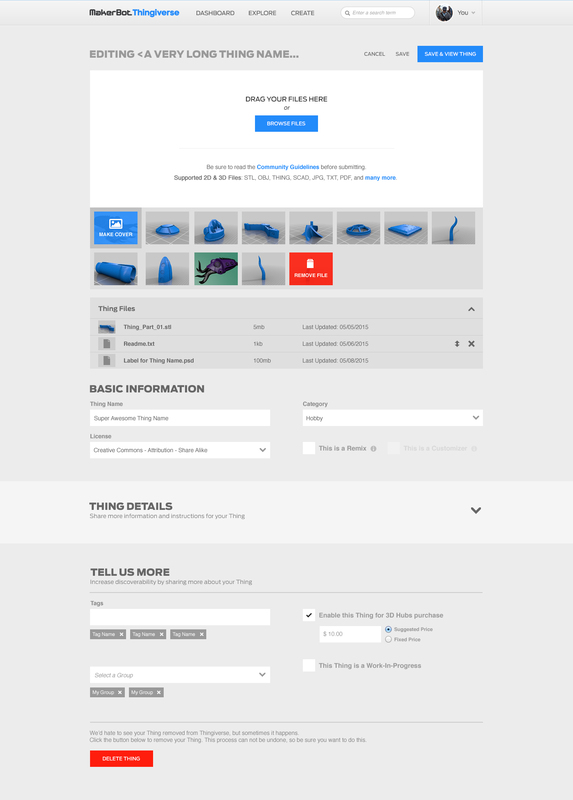 With further updates to the site with a focus on Education, we wanted to include an updated take on adding instructions to Thing pages. It was the perfect time to take our 20% project and make it a full on product update. For uploading (and editing), I went ahead and merged our three upload fields into just one shared upload but made the website smarter, knowing which files were added to the upload form and sort out the content respectively. 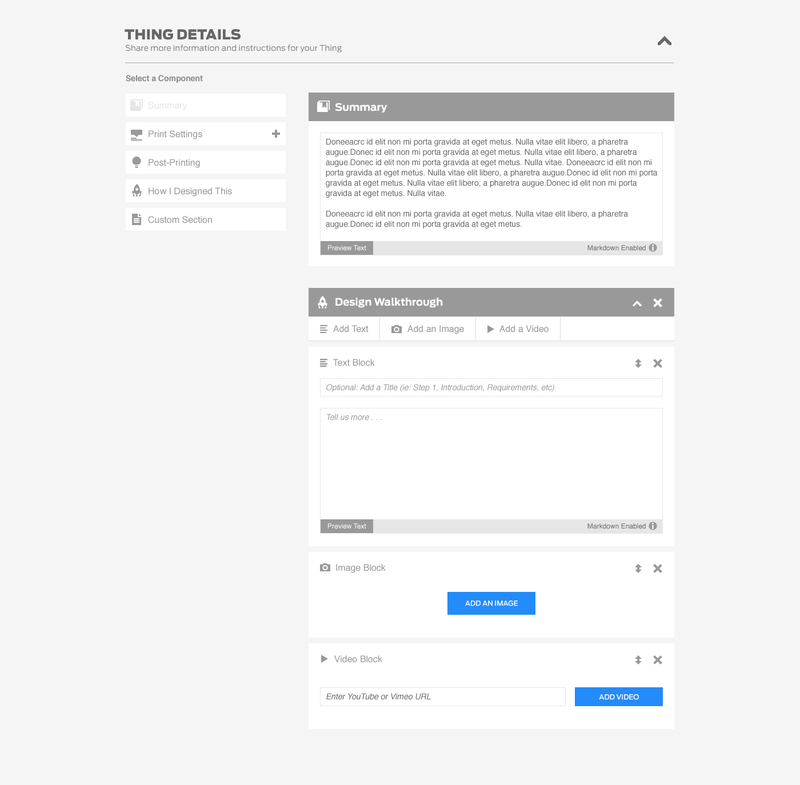 The new Thing Details section is the updated instructions. We decided to give the users of the site a bit more direction on what to add, but still allowing for freedom to add what they want and where. Full mark-down support is now available as well. 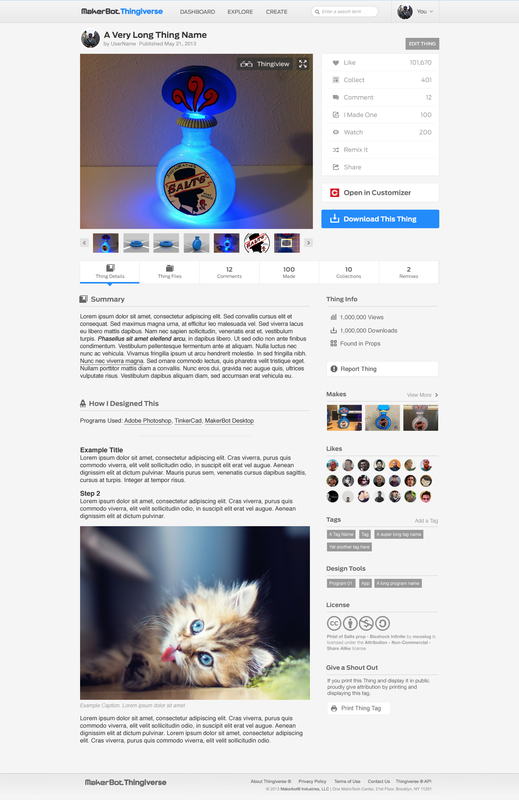 Also included in this update was a slight design refresh for the Thing Page as well. I cleaned up the overall UI (removing the white containers that were everywhere) and merged the Description & Instructions into one tab. 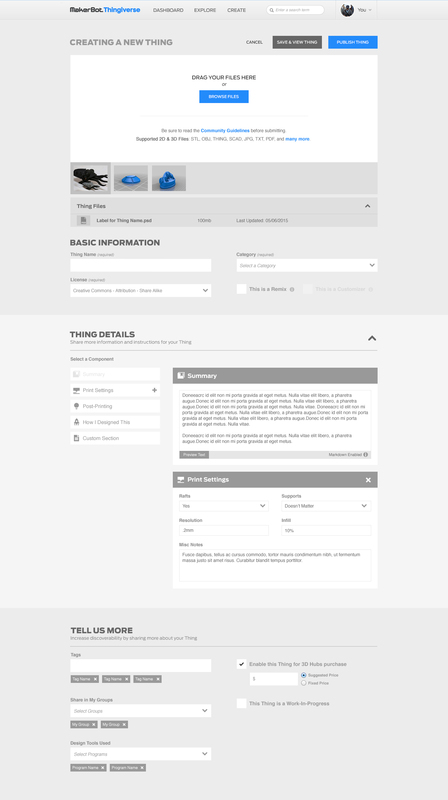 This helps bring the instructions to the forefront, rather than hiding behind another tab. 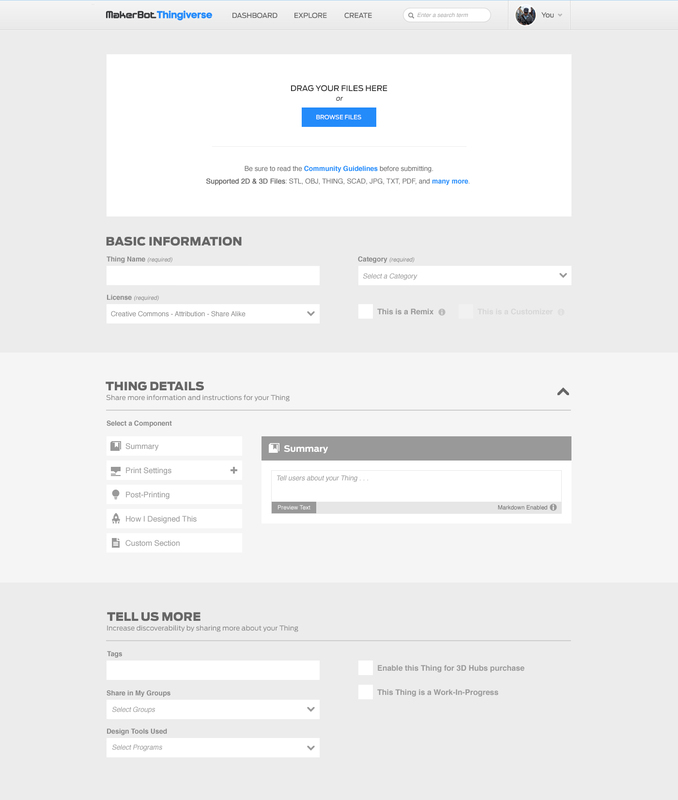 It was fantastic to see such a quick turn around for usage on the site. The minute we deployed, users were already using the new features and going back to edit older designs with updated instructions.